Dr Christopher Wiley has recently been profiled in an interview on the Surrey Research Insight blog as well as a case study written by Turning Technologies. 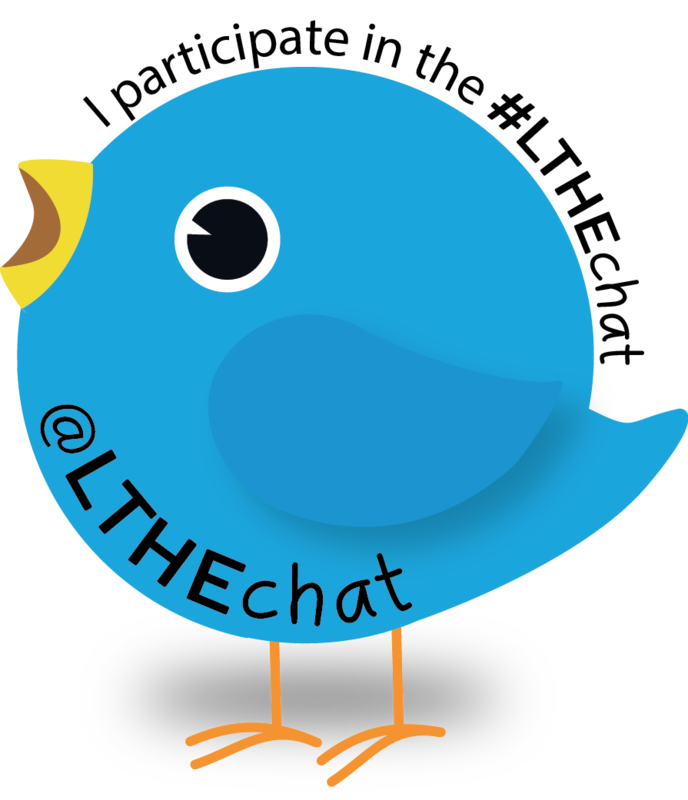 Turning Technologies’ feature on Dr Wiley’s pioneering use of electronic voting systems (EVS) in arts and humanities teaching, ‘TurningPoint in the Arts: Electronic Voting Systems as a Springboard for Student Engagement’, was published on their website on 14 April 2015. It discussed various aspects of Dr Wiley’s use of EVS in higher education teaching including multiple-choice questions that test deep-level understanding, game-based learning employed alongside flipped classroom techniques, and the technology’s moment to moment and demographic comparison features. 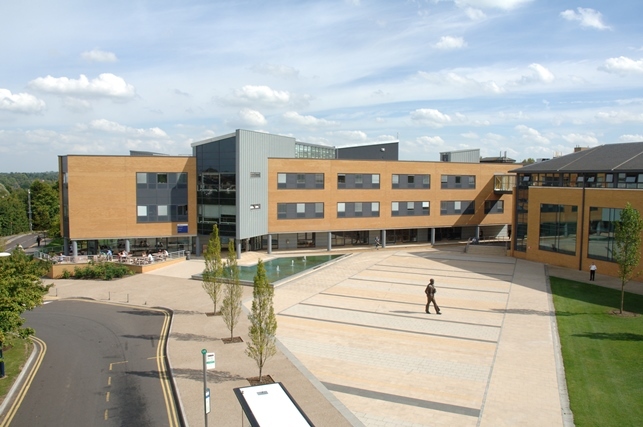 Surrey Research Insight (SRI), which manages the open access repository of academic publications for the University of Surrey, interviewed Dr Wiley in a blog post entitled ‘SRI talks to Dr Christopher Wiley’, which appeared on 1 May 2015. Dr Wiley spoke about his published work on Michael Jackson (which is available on open access), his interests in musical theatre and film music, and his current research on literature and music and on student evaluation of teaching. 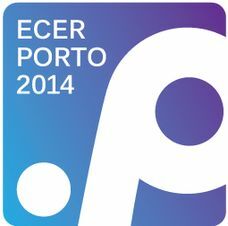 Dr Christopher Wiley has given a paper at the major international European Conference on Educational Research (ECER), at the University of Porto, Portugal, on 3 September 2014. Dr Wiley’s presentation, ‘Standardized Module Evaluation for Teaching Excellence and Enhancement: Views of Students at a Single UK Higher Education Institution’, was included in a joint session of the conference’s Network 10 (Teacher education research) and Network 11 (Quality and effectiveness assurance). Further information on Dr Wiley’s paper is available at the conference website here. Dr Wiley had previously delivered a version of this presentation in the UK at The Hatton, London in June 2014. One of the key annual activities of the European Educational Research Association (EERA), ECER 2014 Porto was entitled ‘The Past, the Present, and Future of Educational Research in Europe’ and attracted 3,000 delegates from all over the world who presented their research across five days in many concurrent sessions. Dr Christopher Wiley delivered a paper on standardized module evaluation, teaching enhancement, and the recognition of teaching excellence at the Sixth Annual ‘Learning at City’ Conference on 4 June 2014. Hosted by City University London and with the theme of ‘Students as Partners in Learning?’, this year the conference was held at The Hatton, Farringdon – its first time at an external venue. Dr Wiley’s paper, entitled ‘Standardized Module Evaluation for Teaching Excellence and Enhancement: Views of Students at City University London’, followed an earlier presentation on the same topic at the 17th Annual SEDA Conference in 2012. Based on research conducted last year via paper-based questionnaires completed by Student Representatives, Dr Wiley’s talk was given to an audience of some 30 staff drawn from City University and other HE institutions across England. At the conference, Dr Wiley also presented an updated version of his poster, ‘The National Teaching Fellowship Scheme: Paths to Success’, originally shown at the inaugural Surrey ExciTeS Symposium in January 2014. Dr Christopher Wiley addressed the 17th Annual Conference of the Staff and Educational Development Association (SEDA), ‘Excellence in Teaching: recognising, enhancing, evaluating and achieving impact’, held at Aston Business School Conference Centre, Aston University, Birmingham on 15-16 November 2012. His presentation, entitled ‘Standardized Module Evaluation for Teaching Excellence and Enhancement: Views of Students and Staff at a Single UK Higher Education Institution’, discussed the principles underpinning the standardization of module evaluation and its advantages and disadvantages. Drawing on the standardized module evaluation implemented across City University London last year and some of the more localized processes it replaced, as well as the views of students and staff interviewed as part of his research, Dr Wiley also considered other measures by which teaching excellence might instead be recognized such as student-led teaching award schemes. In the course of the workshop session, Dr Wiley facilitated a lively discussion on the relative merits and drawbacks of standardized module evaluation, exploring the processes currently implemented at different institutions, sharing best practices, and working towards action planning for the future. For the second year in a row, Dr Christopher Wiley has received a prestigious Student Voice Award, presented by City University London. He thus becomes only the second person in the history of the Award to have been a recipient in two consecutive years. 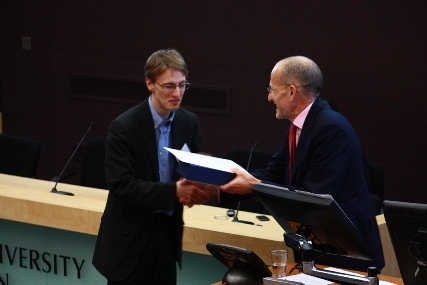 Chris was one of twelve members of academic and professional staff across the University to win the prize. Competition was, as ever, extremely fierce with a total of over 200 nominees. The scheme is intended to reward ‘exceptional teaching practice and outstanding support services’, and to recognize excellent contribution to the student experience. Nominations are made by the students themselves and winners are decided by the University’s Students’ Union. See this post for news of Chris’s being awarded a University Student Voice Award in 2011. Further information about the Student Voice Awards 2012 is available here. Chris was separately awarded a School of Arts Learning & Teaching Recognition Prize for his excellent module evaluation feedback in the 2011-12 academic year. The prizes were announced and formally presentated at a prize-giving ceremony at the close of the Fourth Annual ‘Learning at City’ Conference on 13 June 2012 (see picture above).